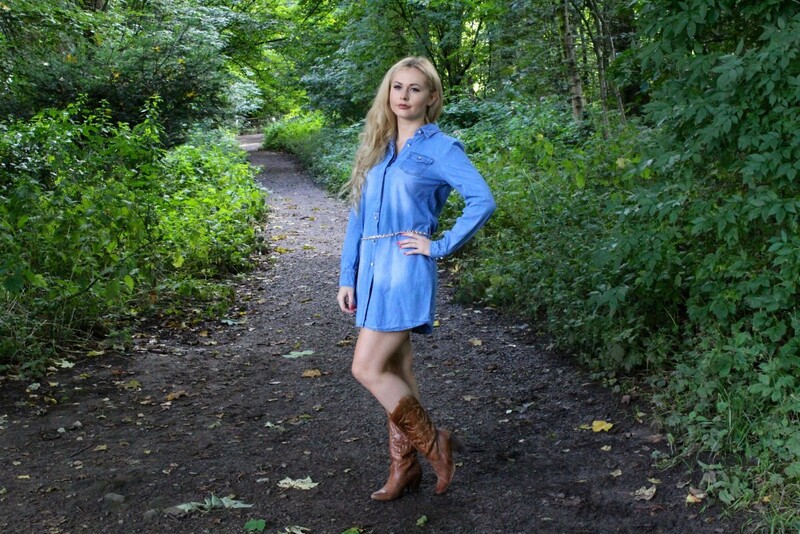 The denim shirt dress is everywhere this season. I fell for this Boohoo version which you can get here. 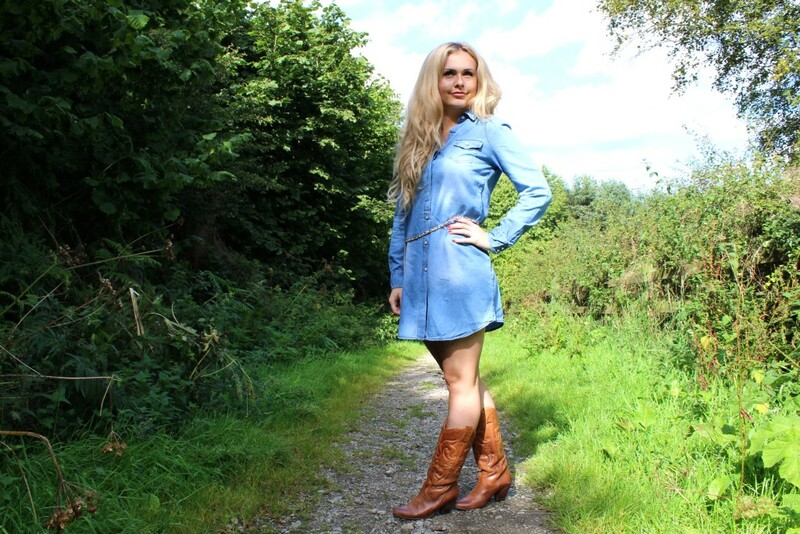 Despite being denim, the material of this shirt dress is very thin. The dress comes with a chain belt, which I quite like as it pulled the fabric in at the waist to give me more of a shape. The dress fastens with buttons down the front and features two pockets on the chest. I paired the dress with my cowboy boots, which I’ve had for over 10 years and haven’t worn in forever, but will definitely be wearing more as I love this look. I kept my legs bare as we had a lovely sunny autumn day when the pictures were taken. I plan on pairing the dress with some tights or leggings once the colder weather arrives and covering up with a fur gilet or oversized scarf. The shirt dress is pretty short, I’m only 5’2, so if you’re taller it will come up pretty high. The fabric also creases very easily, it was crumpled on arrival so needed a good iron before I could wear it. For £25 I think it ticks all the boxes. What do you think?